Another year has passed and a new round of judges are filling the American Idol seats for season 12. During my brief stint on Idol during season 10 (watch my audition here) I had the wonderful opportunity to meet Yahoo! Music blogstress Lyndsey Parker. Ever since then I’ve been cranking out Idol snacks every week for her Reality Rocks blog. 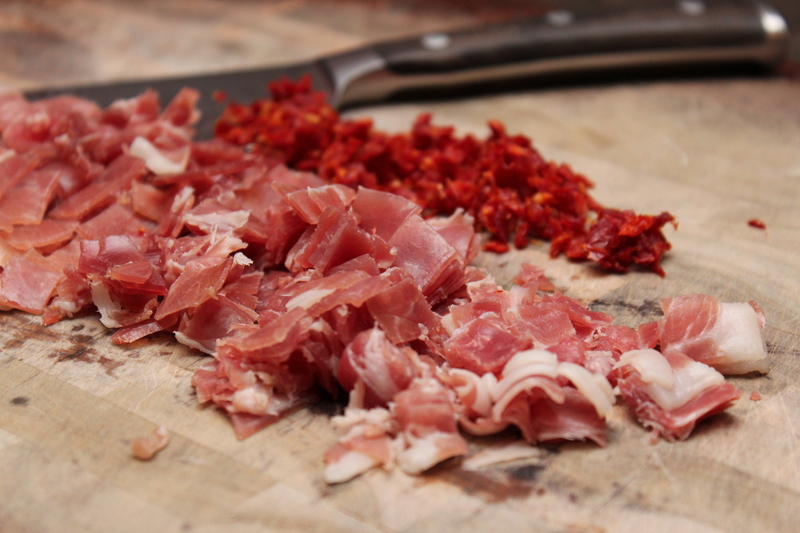 For tonight’s episode in New York City I thought I would stick with the Italian theme with this quick and simple snack. 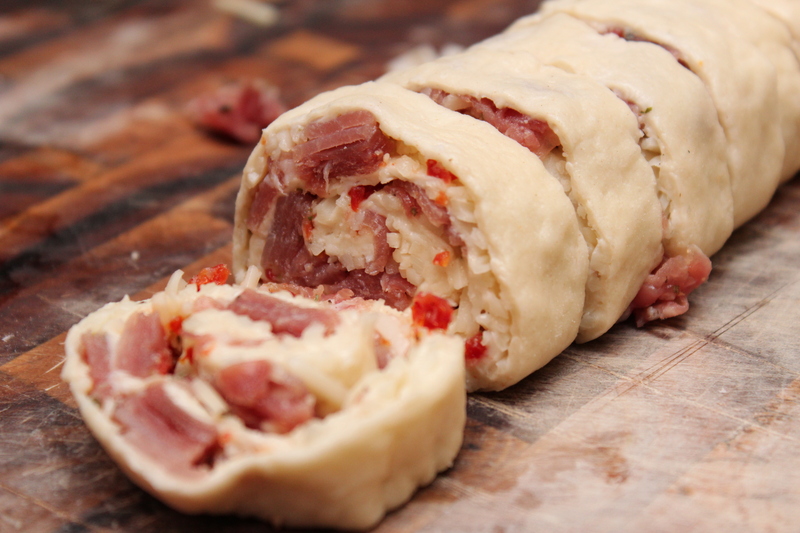 So give this recipe a try and enjoy the craziness I’m sure Mariah and Nicki will bring! 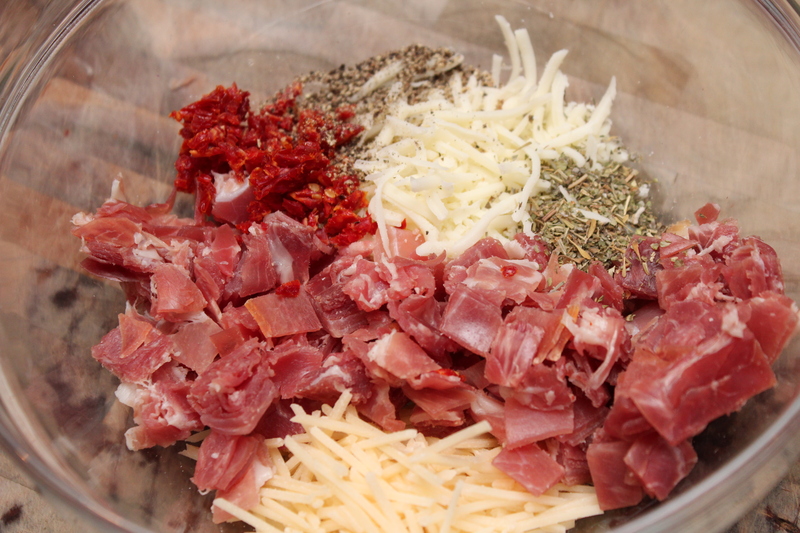 Combine the prosciutto and next 6 ingredients through the egg white in a large bowl. Mix until well combined. 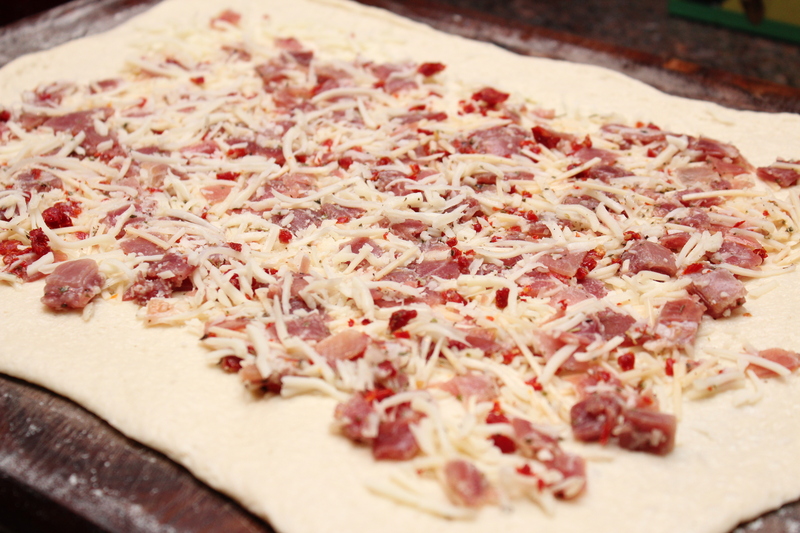 Lay out the pizza crust on a floured surface and spread the prosciutto mixture evenly on top. 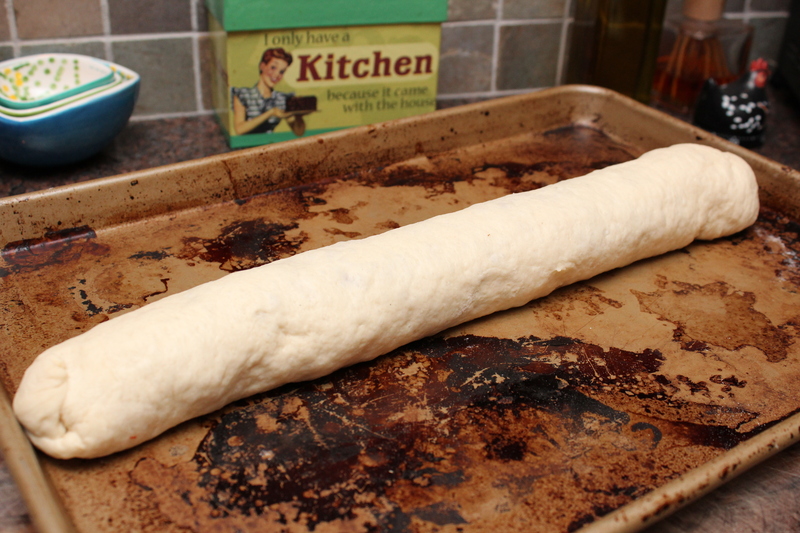 Starting with the longest side, roll the pizza dough into a log and pinch the sides closed. Refrigerate until nice and cool. Using a serrated knife (dip in water to prevent sticking) slice the log into 1/2 inch slices. Place on a cookie sheet lined with parchment paper and brush with the egg wash. Bake until golden brown, around 15-20 minutes. 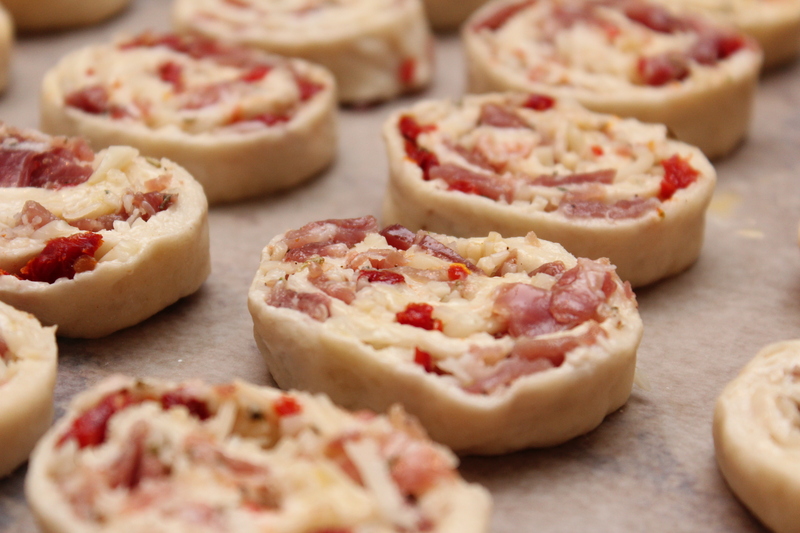 Spoon the marinara sauce into a small ramekin for dipping and sprinkle with the parsley. 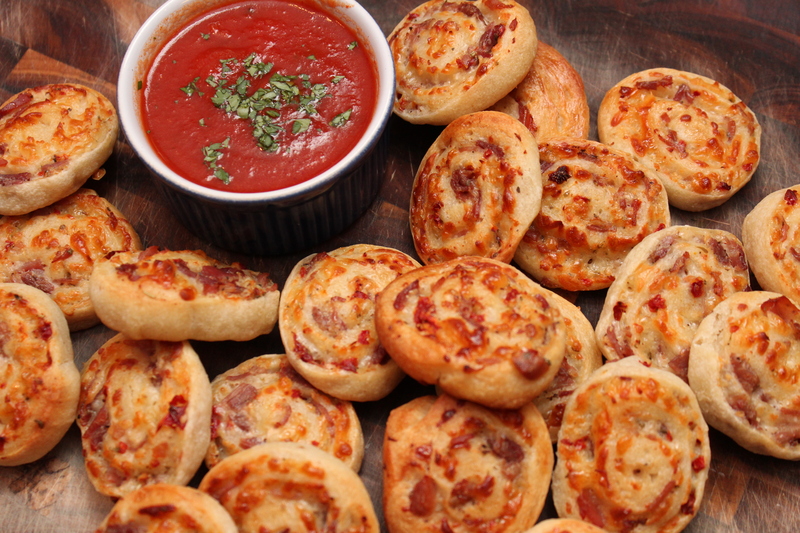 oh my gosh, these looks fabulous, I want some now!